Once upon a time, in a land whose residents were often made uneasy because of rumours about a malicious consonant replacer, lived a family of three. There was the King, whose first wife, a smashing woman, had snuffed it, to the great delight of the Brothers Grimm who were looking for material for a new story. There was the King's new wife, an evil stepmother type, who was yet more evidence that fairy tale kings always make rubbish second-wife choices. And then there was the daughter from his first marriage, Snot Whine. Number one: she suffered from perennial rhinitis and her nose constantly streamed. She made a god-awful racket in the mornings using one of those nasal inhalers, but it made no difference. We are here today to mourn the sad loss of Humungous Box of Cling Film, who has been part of Fran's family for three years, and has been a valued member of the household. Her passing today is a sad moment. Let us take a minute to bow our heads. BOW your heads, you hard-hearted swines, you. 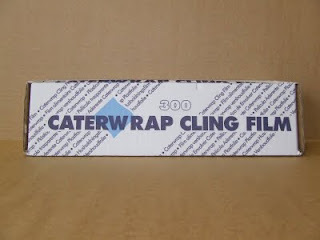 Humungous Box of Cling Film was born into Fran's household in 2008 at the occasion of her son's wedding. Humungous was purchased from a local supermarket and was a major feature of the said wedding, being used to wrap up 396 leftover baked potatoes which had proved not as successful a food item as had been anticipated. From that moment on, everyone knew that Humungous was not just your average box of cling film, but one that, even after wrapping 396 leftover baked potatoes, had still a long, long life ahead of her. 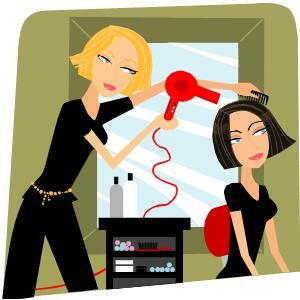 Things you don't want your hairdresser to say. But she does anyway. 1. Yes, it is strange that all the cut hair just sticks to your skin like that every time you come. No, no, I don't know anyone else who has that problem. With everyone else, we can just give it a gentle whizz with the hairdryer and it comes off. Are you feeling particularly hot and sweaty? Implication? You are a freak. A very sticky freak. You should market yourself as a fly-catcher to a delicatessen. 2. That's a nice tan you have there. How do I know? Because of the white bits I can see round the edge of your hairline. Implication? You are a freak who will look even freakier when the wind blows your hair back off your face and everyone can see where your tanned look ends and your freaky look begins. 3. Ah yes, you're right. You DID need to come.